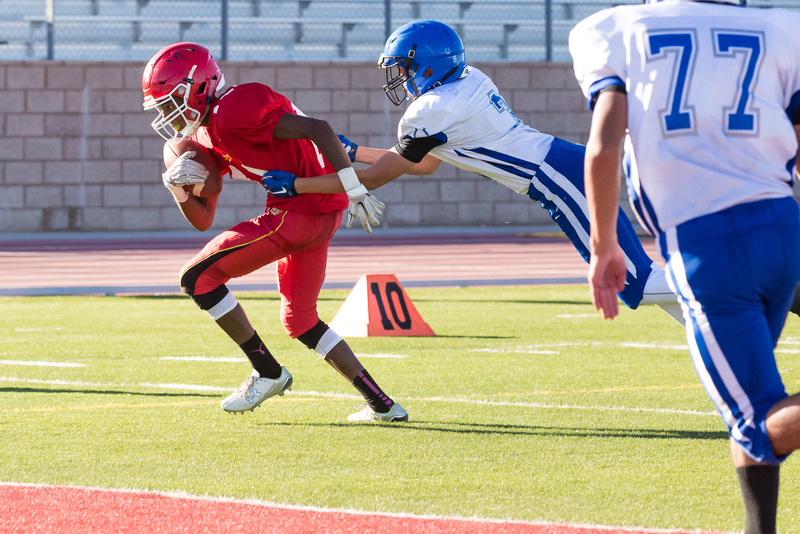 Bishop Youth Football played host to the Antelope Valley Youth Football Championship games Saturday. 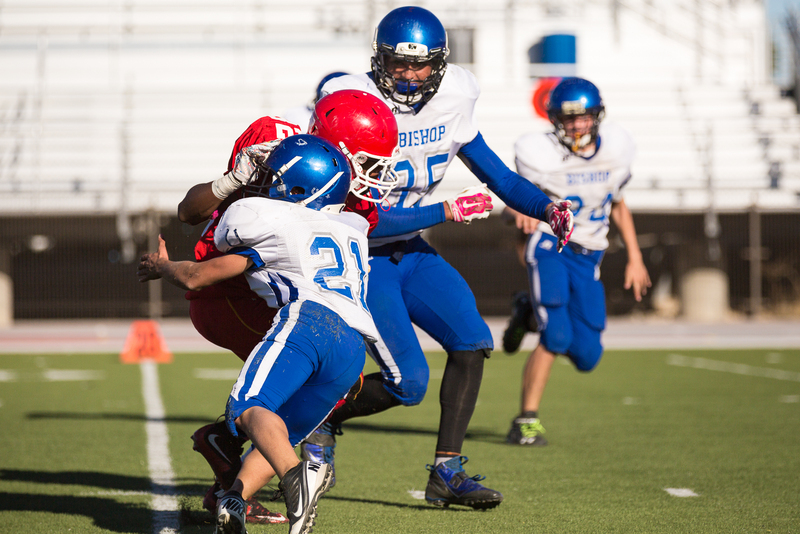 Bishop not only hosted, but had a team in each of the three division championship games. 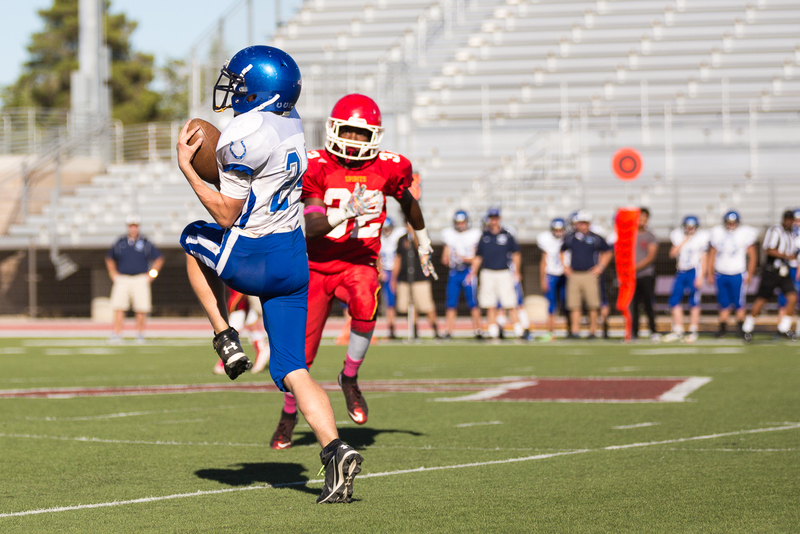 The Broncos won titles in both Division 1 and Division 2 recording wins over Kern Valley and Boron. 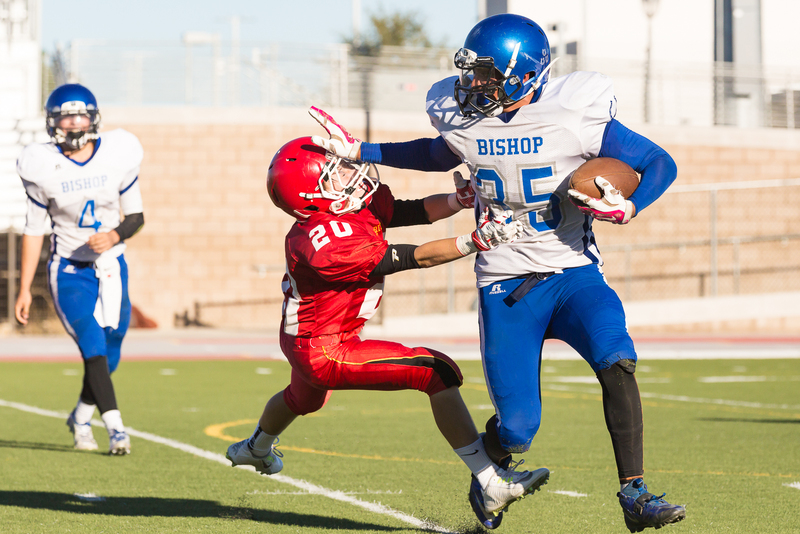 Bishop’s Division 3 team fell to rival Kern Valley in the Division 3 title game. Coach Jim Reynolds guided the Division 1 Broncos to a championship Saturday finishing off a undefeated season. The Broncos were paced by standout Elijah Reynolds. Elijah’s big day included 5 rushing touchdowns on just 14 carries. Reynolds rolled up 302-yards scoring on runs of 35, 18, 50, 70, and 40 yards. Elijah also racked up a team high 7 tackles. 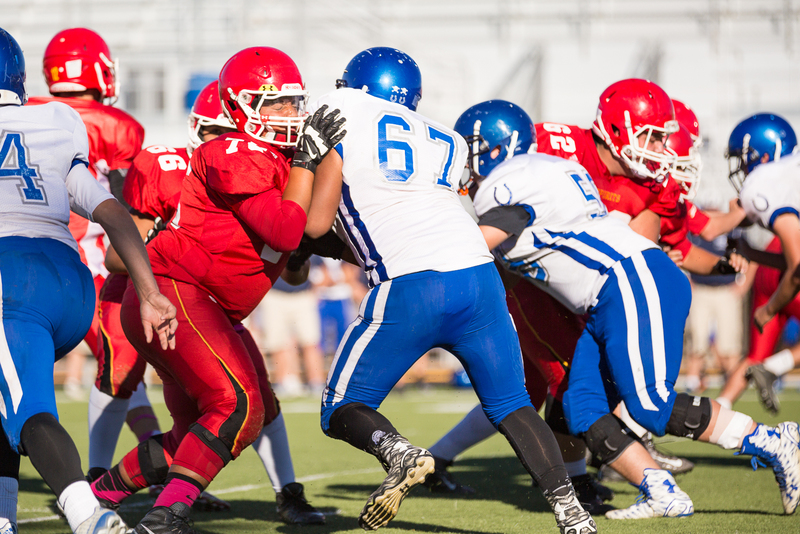 Vinney Begay had a strong game with 6 rushes for 20-yards scoring 2 extra points and collecting 5 tackles. 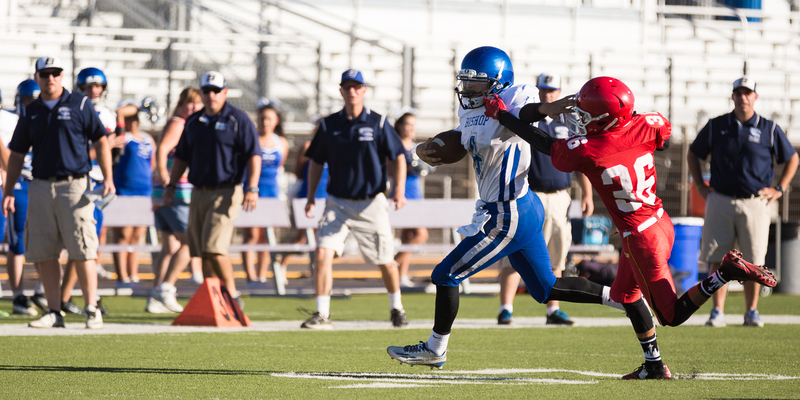 Damon Terrazas rushed 5 times for 40-yards including a 30-yard touchdown and made 3 tackles. 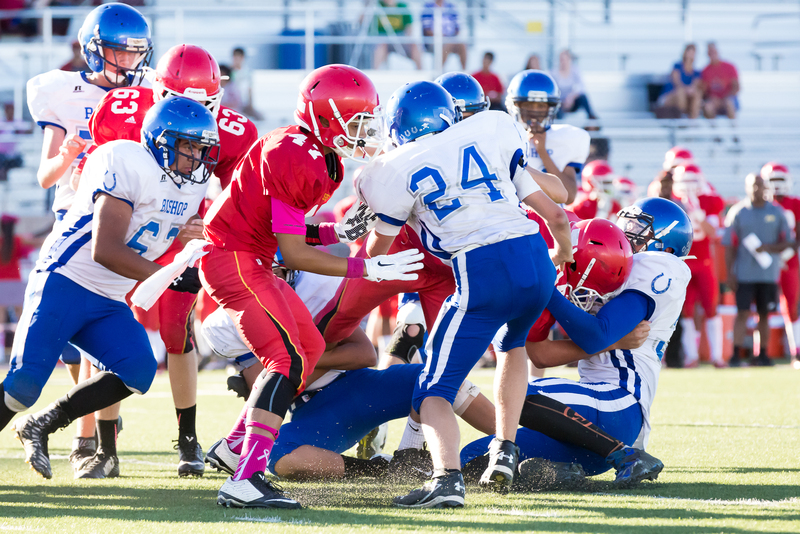 Carlos Suarez Jr scored an extra point and made a tackle. Justin Pettet made 3 tackles, Chucky Delgado had a tackle, Ishia Lee made 3 tackles including a tackle for a 8-yard loss. 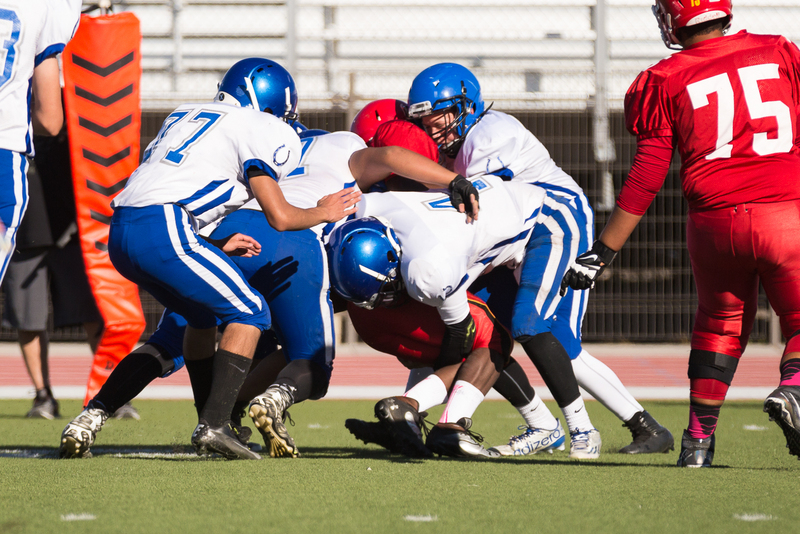 Richie Talevera collected 5 tackles, Preston Pool-Harjo 3, and Darrick Cortez 2 stops. 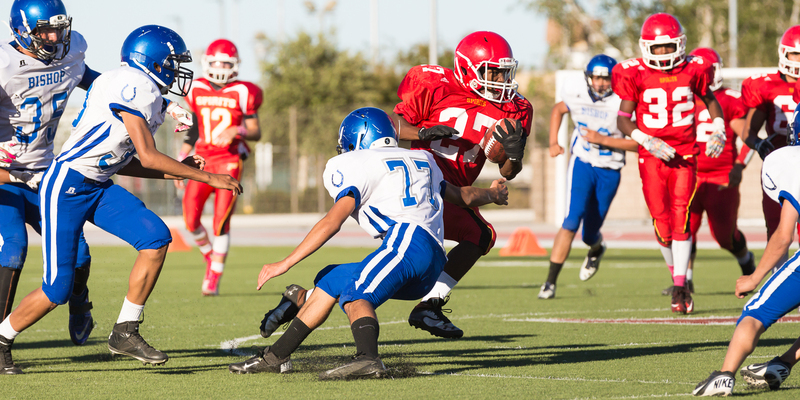 The Division 2 game featured the top seed, undefeated Boron Wildcats and the underdog Bishop Broncos. 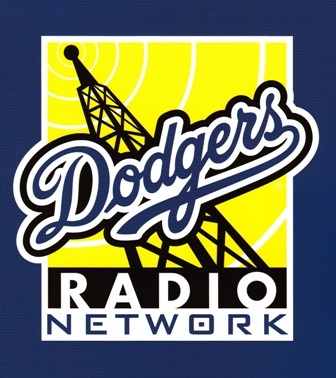 Boron entered the game with a 10-0 record including a pair of regular season wins over the Broncos, 30-12 and 43-14. Bishop got on the board first with a clutch 3rd down touchdown pass from Jakob Redman to Colt Matteson. 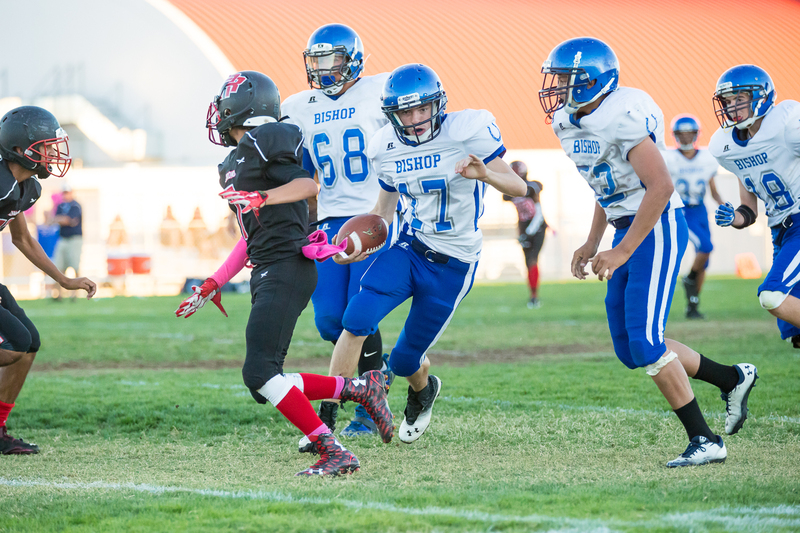 Bishop’s 6-0 lead quickly became a 19-6 Boron lead at the close of the first half. The Bronco defense shut down the wildcats in the second half allowing the team to mount a strong comeback. Cain Omohundro keyed the defensive effort including a forced fumble. Jakob Redman connected with Austin Halfen and Kenyan Piper for second half touchdown passes. Reece Marsh drilled 2 point after kicks giving the Broncos at 22-19 win. The Bishop Division 2 team is coached by Head Coach Will Lyons, Assistant coaches Chris Matteson, Thom Batchelder, Steve Omohundro, Ronny Georgeson and Chuck Steedle. The Broncos finish the regular season with a 4-6 record including a 2-2 mark in the High Desert League. The Broncos are the #10 seed in the CIF Central Section Division 5 Championships. BUHS will travel to #7 Mendota High School Friday, November 13th. Fowler High School, the #2 seed, has a bye into the second round. The winner of the BUHS-Mendota game will travel to Fowler for the Quarterfinals Friday, November 20th. Friday’s opening round game will be broadcast live on AM 1230 KBOV, and streamed live at kibskbov.com through the listen live link, kickoff is set for 6pm. Mendota has a 6-4 record and tied for 2nd in the West Sierra League. Mendota is located west of Fresno just 368 miles from Bishop. Bronco Volleyball will hit the road Tuesday November 10th traveling to Taft High School in the CIF Central Section division 4 volleyball championships. Bishop Union is runners up in the High Desert league and the #9 seed. Taft finished 3rd in the South Sequoia League earning the #8 seed. The winner of Tuesday’s opening round game will travel to #1 Sierra High School for Thursday’s Quarterfinal. Sierra High School is located in Tollhouse, approximately 20 miles northeast of Fresno. The Golden Eagles will travel to Panorama City Tuesday for opening round action in the CIF Southern Section division 4A volleyball championships. St. Genevieve will play host to the Golden Eagles. St. Genevieve is Champs of the Santa Fe League with an overall record of 13-4-1. Lone Pine tied for 4th in the Desert Mt league with an overall record of 11-12-2. Doors open at 6pm and admission is $5 for students and kids and $10 for adults. The Big Pine Warriors will travel Tuesday to Hawthorne in southern California in opening round action in the CIF southern section division 5A volleyball championships. The Warriors will take on Wiseburn-Da Vinci High School. The Wolves are 9-7 on the year and champs of the Mulholland League. Big Pine finished 5-7 on the season good for third place in the Hi-Lo League. A win for Big Pine most likely has them facing the tournaments #1 seed Tarbut V’ Torah in the second round.